As someone who has experienced the past two sell out shows at The Green Room in Stockton, I can tell you that if you’ve never been to a Bob Log III show then you have never truly lived. Imagine the raw, sweaty energy of a frat party mixed with the spiritual intensity of an evangelical exorcism, with people of all ages flailing around like possessed sprites. Visually it is more surreal than a Kanye West Tweet, as you watch a guy donning a blue jumpsuit and motorcycle crash helmet with a telephone jammed into it riding about on an inflatable rubber dingy. The prince of punk blues harks from the depths of Tucson, Arizona and uses his guitar with foot controlled percussion to whip up the crowd better than most rock ‘n’ roll bands. His blistering hip-hop beats that drop before taking you to the brink, explorative guitar playing and intense crowd interaction, involving the clapping together of various parts of the female anatomy are not to be missed. This time around he’s playing Stockton’s Georgian Theatre on Sunday 29th May, which means more space, more chaos and a load more fun, plus there’s a show at Newcastle’s Cluny on Thursday 2nd June. No need to thank me. 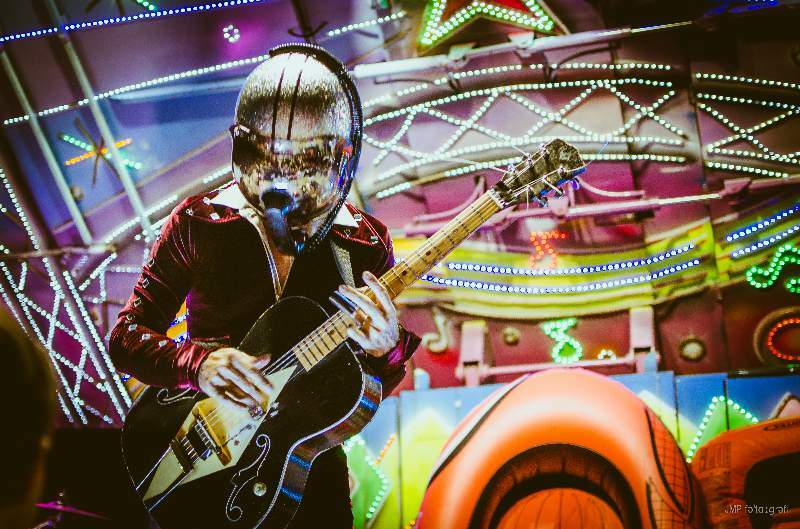 Bob Log III plays The Georgian Theatre, Stockton on Sunday 29th May and The Cluny, Newcastle on Thursday 2nd June.